Etsuro Sotoo is a Japanese sculptor that has worked in the Expiatory Temple of the Sagrada Familia in Barcelona since 1978. He has worked on several sculptures of musicians and singers for the Nativity façade, the decoration on the windows and the pinnacles in the shape of fruit, as well as the restoration of the statues in the Puerta del Rosario. The book entitled ‘De la piedra al maestro’ recounts the interview with Etsuro Sotoo carried out by the President of the Pro-Beatification for Antoni Gaudí Association, José Manuel Almuzara. In the book, the artist comments on how he began as a sculptor in japan, the first time he saw Gaudí’s masterpiece, constantly referencing to his works, and his personal and professional realizations upon working on the Sagrada Familia. 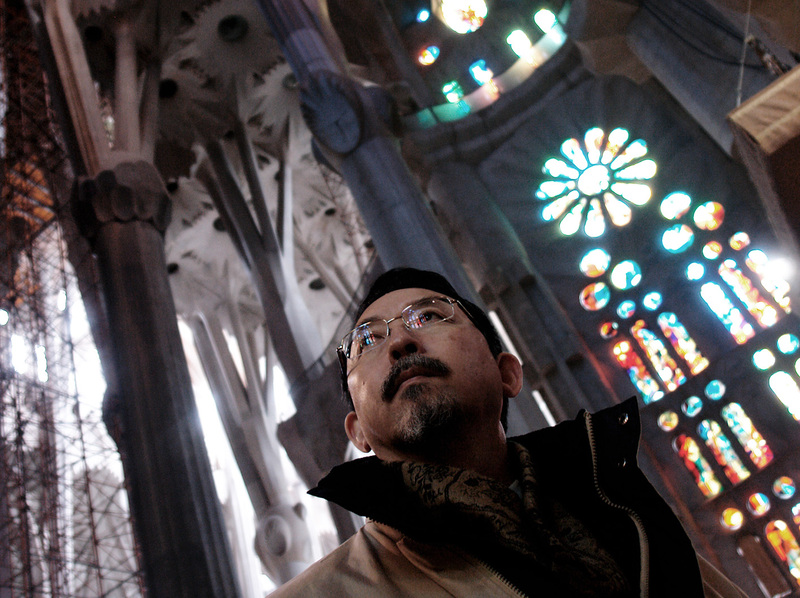 Similar to many of the Japanese members of the Keicho Embassy, Etsuro Sotoo converted to Catholicism in 1991 upon being convinced by Gaudí’s faith and the values he injected into every piece he created. The devotion he has for his job, the commitment to his values, and his contribution to Gaudí’s work and similarly to the city of Barcelona has made Etsuro Sotoo into an authentic Mediterranean Samurai.